The inconvenient part of a clean Windows install is the fact that you have to manually find and install drivers. Some manufacturers like SONY intentionally leave some of the drivers of their web site just to have you pay for technical support. I experienced it once with them and they didn’t want to give me the driver. Then I found this little nifty tool called driver robot which searches and finds what the driver you need. If you get the tool don’t allow the tool to automatically install the drivers for you. Have it export the finds in an html file and open it with Internet Explorer. From there you get links to each driver that you need. Then you can install only the drivers you want, not all the updates. It does the installation automatically, but it has a catch. You have to register and give them you email address. You never just give willy nilly give out your email address to anyone/anything or web site who asks for it. You have to have a junk email address where you receive all your spam, or emails that you don’t care for. Because then you will get bombarded with junk email and it is going to be very difficult to manage your emails and filter out the good from the bad. So if your last resort is DriverRobot follow the instructions, sometimes you just need to find the name of the driver and then look it up on the manufacturer’s website. You need to find out what type of OS you have. Since this is the era of transition from 32 bit OS to 64bit, Windows® 7 comes I think in 12 flavors, 6 are on 32 bit and 6 are on 64 bit. The first thing you have to do is to find out if your OS is 32 or 64 bit. Go to start -> right click on Computer -> select Proprieties ad you should see the following: So, 32 bit means x86, therefore if you find the x86 name in a driver package it means it is for a 32 bit OS, but is it for Windows® 7 Vista or XP. You see that matters too, you need to make sure that the driver is also for the respective OS not only the respective 32 or 64 bit architecture. 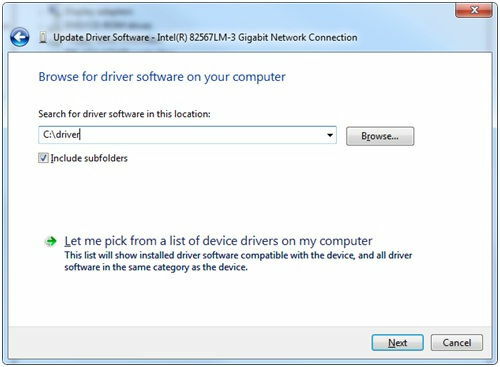 To find out what drivers are missing, you just open device manager. Run “devmgmt.msc” the extension “msc” stands for Microsoft Console. 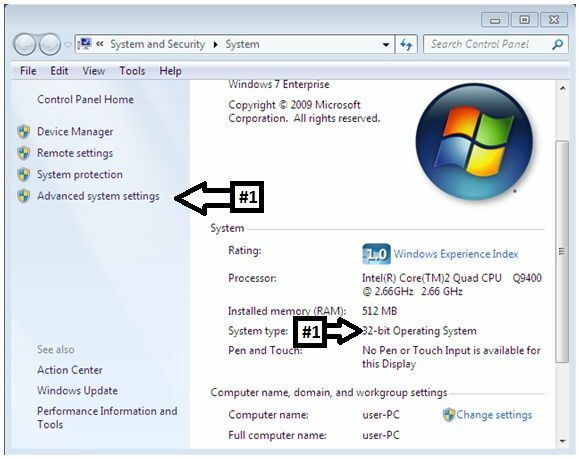 Or click on the advanced system settings, in the next image (#1) and then from the pop up window select the Hardware tab and click the (#2) device manager button. In computer management you can see the devices which have installed drivers or not. All devices with an exclamation mark mean that the drivers haven’t been installed, or they didn’t install properly. As you can see in the image we get no information about who is the manufacturer for the problematic drivers. You could look at the computer model and download the drivers from the manufacturer’s website. Dell, HP, SONY, and so on. Another way of installing a driver, you download the file from the manufacturer’s website and then you run the file. In some cases it installs automatically and in others it just extracts the driver files from the archive. Then you have to know where they were extracted. Usually the installer will ask you to provide the location, copy that location to the clipboard. 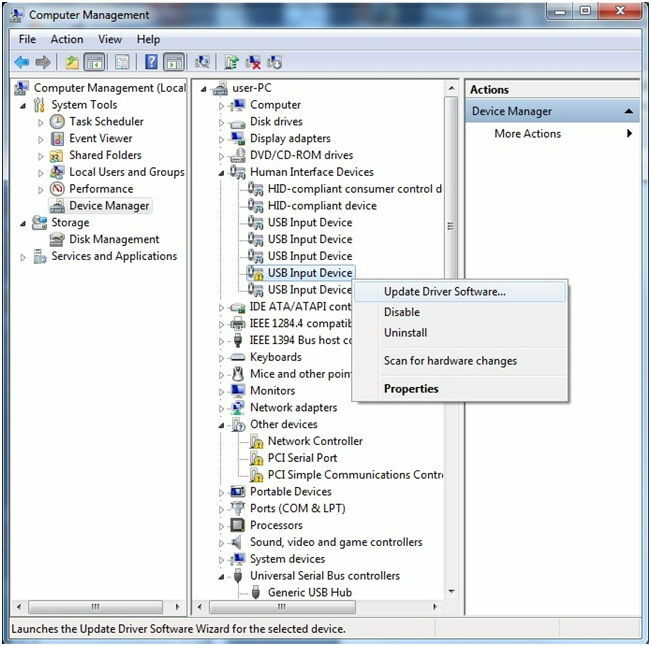 Then go to the device manager right click on the device with the exclamation mark and choose Update Driver Software. Then choose the browse my computer for driver software. Now paste the location you extracted the driver and click next, follow the wizard until you have installed the driver. 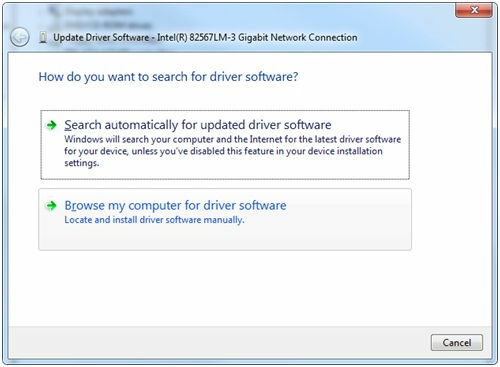 If the driver does not install correctly, it means you might have the wrong driver or in rare occasion if a driver fails to install the first time then the other attempts are going to become redundant. In that case you need to research that particular driver for further troubleshooting. The method in the next lesson might work in some cases.